Have you ever been in a relationship and they felt so familiar to you, that you know you must have been with them before? Have you ever met someone for the first time and felt like you knew them immediately even though you had never met? 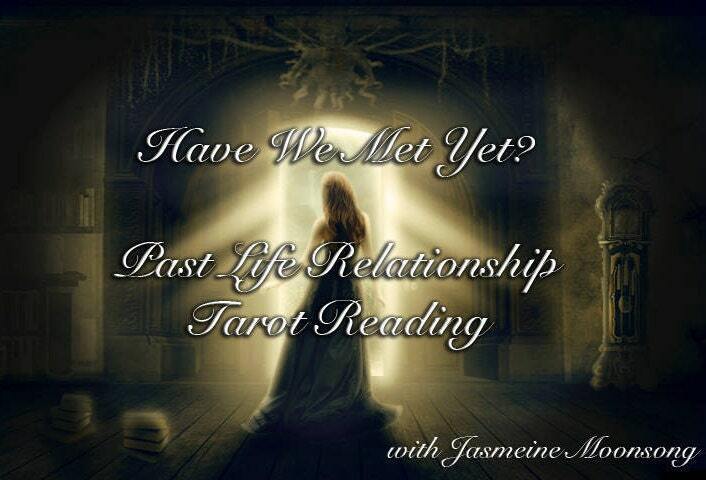 This custom 10 card reading explores the relationship that you had in a past life with your significant other, relative or friend. We will look at things like your relationship in a past life, lifestyle, strengths, challenges, and whatever else your guides want to show us about your relationship. In some readings I may also see the two of you in multiple lives together if that applies to your relationship. Please make a note in the notes who I am looking for with you and what their relationship is to you! With any past life reading I've ever had there's always a feeling of how my soul knows this is true, especially with many details that parallel to my current life. I have used other readers just to have that experience with others. However, as an intuitive empath, I always feel like Jasmine knows me personally & I know I can wholeheartedly trust her. She's done various readings for me & all have proved to be most accurate if they referred to present or future events & circumstances. She is amazing & you will not be disappointed if you're seeking a trustworthy & positive reader who allows follow up questions & encouraging words of wisdom. I love her dearly & I'm sure there are many who feel the same as I do.